Saxlund was founded in 1947 by Mr. Oddmund Saxlund in Norway. This company was specialised in discharge systems for different types of wood chips. 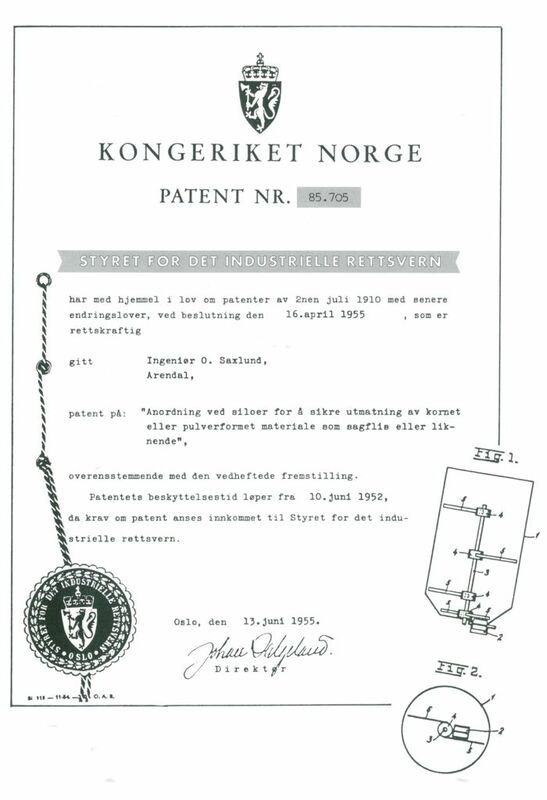 2000 the Saxlund rotary distributor was invented and patented. 2017 Saxlund receives the CITB- SSSTS and SMSTS certification to manage construction sites in England. The Saxlund International group is one of the leading suppliers for engineering and production of storage and conveying systems for installations handling with problematic bulk materials. Because this work over many decades the company belongs to the most potent suppliers in the world market. Saxlund International has installed their installations in nearly every country in the world. World wide 3000 Saxlund installations are working successful.